Officials added the new requirement to the university’s curriculum this fall, along with another course on global perspectives. New students must take both courses in order to graduate. Post subject: Re: Tulane to require new students to take courses on race.. Sounds like a course for explaining rules and stating opinions, moreso than for teaching facts. Says two old white guys. You pick from a list of 50+ courses. There was a similar requirement as the "global perspectives" one way back in the early '90s. The article, depending on how you interpret the writing, states that "fewer than a quarter" of the student body are people of color. Let's say that in my limited comprehension that means 25% are people of color. The way I read the article it makes it sound like this is smaller number than it should be considering the racial make up of our country. Does anyone know what the racial make up of our country currently may be? Well, I looked it up. As of 2016, african americans make up approximately 12.6% of the population and hispanic/latino americans make up approximately 17.8%. If I add those together, I come up with 30.4% of the US population is considered non-white. My question is why does the university and frankly the media portray that the racial disparity at Tulane University is so extreme that it is imperative Tulane students should be educated on race so there is better harmony on campus. To me 25% is not that far from 30.4%. When you consider the city of New Orleans is one of the greatest representation of a true racial/ethnic melting pot, wouldn't one think that the students of Tulane University would be one of the last universities needing a mandatory class on race required for graduation? I had a college professor back in the day who argued the composition of the University should equal that of New Orleans. He was a very good professor who I liked very much, BTW. It's not because of the percentages, but because of racially-oriented incidents. ... When you consider the city of New Orleans is one of the greatest representation of a true racial/ethnic melting pot, wouldn't one think that the students of Tulane University would be one of the last universities needing a mandatory class on race required for graduation? 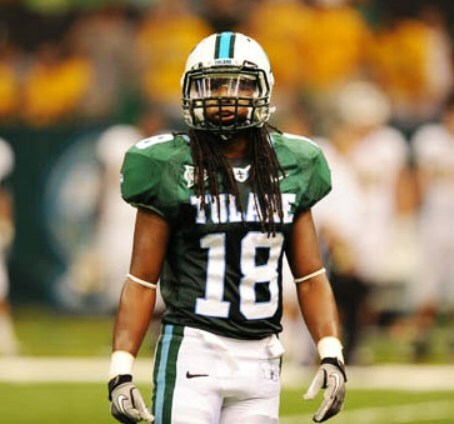 During my years (in 1970) Tulane put on the 'Soul Bowl' to raise money for black scholarships and create a dialogue concerning black students at the school. Great day of music with James Brown, Issac Hayes, Jr. Walker & the Allstars, Earth Wind & Fire plus many, many more. austxwave is right on the money here. Two minor incidents does not necessitate a university required class on race. It's such a huge overreach. Hey, let's identify a problem that doesn't exist and tell everyone it's a grave problem. I'm not in any way stating there aren't issues amongst race, but it's not worthy of a mandated class to graduate. Our country is becoming so weak. Nobody can be different, have different beliefs or values. Everything has to be homogenized. This is socialism at it's finest. I took several classes that focused on Latin America by choice, not diktat. What's your point? I'll decline to comment on legitimacy of your post and its intellectual dishonesty other than to point out that comments on an anonymous site anyone can join and supporting a presidential candidate (who won BTW) doesn't really rise to racially oriented incident that necessitates changing the core curriculum of the university. This topic should be locked; not surprisingly, this has devolved into politics and an opportunity for certain folks who get off on it to stroke their pre-conceived notions. I knew it was a mistake to post here; no one is listening and most just want to stroke their persecution complexes and make law student type arguments that they're not engaging in political masturbation. Do you think these classes will make people any more or less racist than they were before? I've read Marx, not a communist, read Koran, not Muslim. The point is the school shouldn't force kids to do things. College is about intellectual exploration not intellectual jamming down the throat. Basically I advocate intellectual anarchy within a framework of rhe school so people can develop their own opinions and ideas. I know, a novel concept. I am so glad I use the ignore button; I encourage everyone to use it. Without reading, let me guess; a certain troll who is tolerated around here for reasons unknown thinks he "shot down" an argument I didn't make and that I'm obligated to waste my time reading his drivel. Ironic, given that I have yet to express an opinion on whether I favor this requirement (FWIW, I favor the global perspectives one but I think the race relations one is an excessive reaction). I know the troll isn't really listening, just waiting to respond and spew more bile that he thinks is clever, but for everyone else, the ignore button is your friend. It's a shame that we have to use it but none of us are obligated to listen to the ranting of fools.